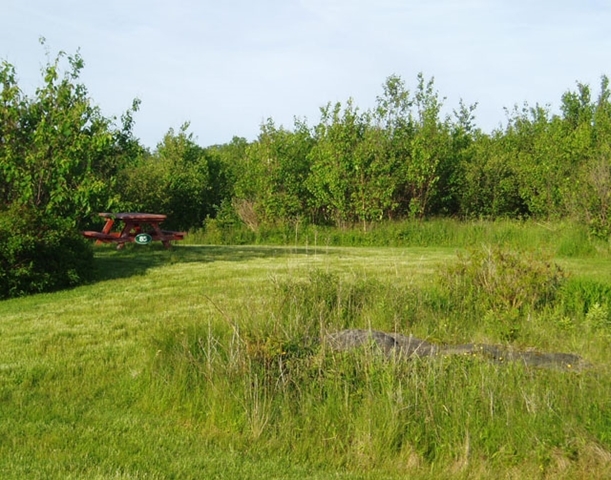 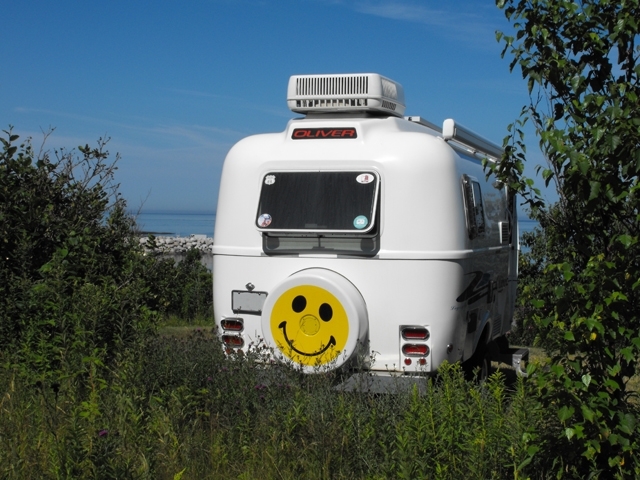 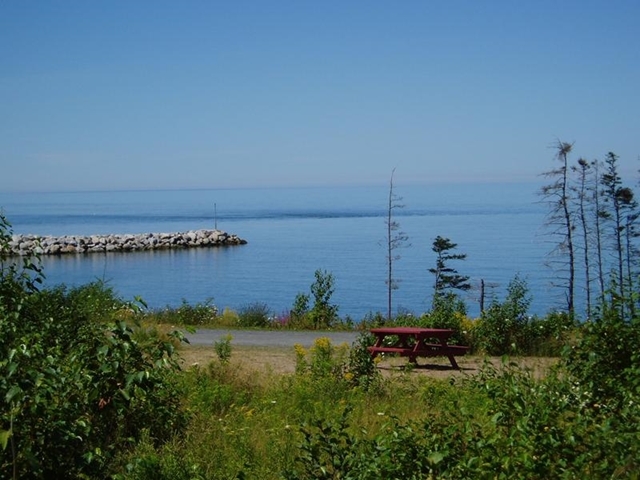 Site #85 is a large, grassy, un-serviced Water View site with good privacy and a view facing West over the Bay of Fundy. 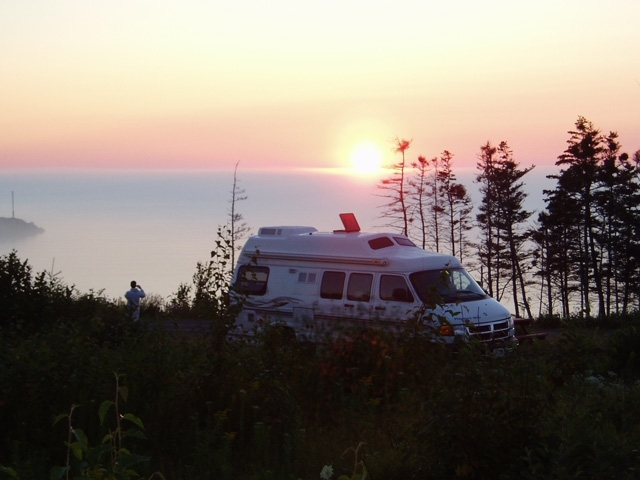 The site will accommodate one tent, tent-trailer, hard-top, van or RV of 24 feet or less, and enjoys beautiful views of the sun setting into the ocean. 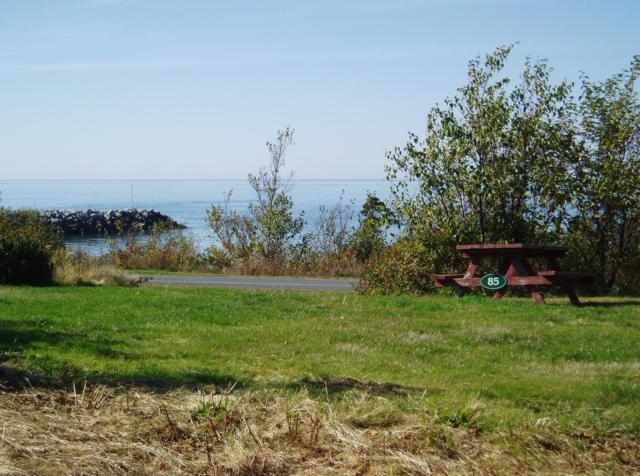 The site is equipped with a picnic table and fire ring, with drinking water taps, portable toilets and the common path to the shoreline all within a short distance.